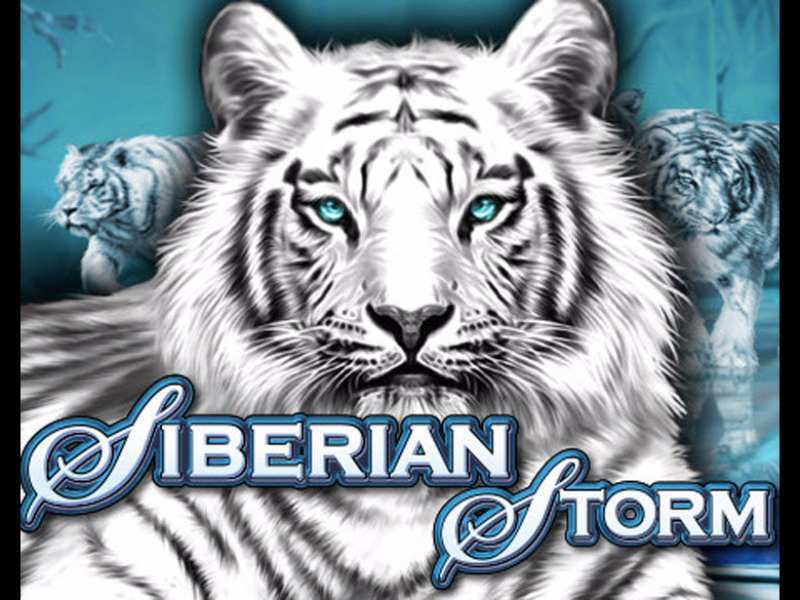 The heroes of Siberian Storm by IGT are the feline predators - Tigers, especially the majestic Siberian White tiger, in sync with which the game's color scheme is based on White. The entire game is themed around the concept of this majestic beast in the wild. So if an adrenaline-packed adventure is your thing Siberian Storm Slot is one of the best games you can play. The Game is cutting-edge and allows the player to win big. This intriguing online game also brings a lot of cool innovations to the table with unconventional hexagonal reels being among them, these innovations (mentioned below) increase both the risk and the chances of winning. Siberian Storm Slots is a MultiWay Xtra slot game – this means that it pays both from left to right and right to left and so gives players a mind-boggling 720 ways to win the game! The symbols in the game are in keeping with its feline theme and include the Siberian Tiger, a ring, jewels, an orange tiger, the logo of Siberian Storm, a golden claw of a tiger and an eye of a Tiger. The highest paying symbol is the Logo of the game which can multiply a bet by up to 1000x if 5 are found on a payline. The Wild symbol in the game is the one with the Siberian White tiger. The wild symbols usually appear stacked in the game thereby multiplying the potential payouts in the course of the play. The Scatter Symbol, on the other hand, is the eye of the Tiger and it triggers the bonus features of the game. The game is a popular gambling option due to its usually large Payouts. This is because of the two-way payouts, multiplying the chances of success for the player. The MultiWay Xtra configuration too is an added incentive as it implies that the player can win if, on the pay lines the player has placed his bet on, one or more or a combination of symbols appear. These wins also multiply proportionately if more than one of the symbols appear in the same column. The game was apparently named “the payout beast” by its Developers! The eye of the Tiger symbol triggers the Free Spins bonus when it appears on 5 consecutive Reels. 8 Free Spins are awarded as a result. The Bonus symbols can also appear stacked and in that case, the number of Free spins is increased up to an initial 96. This feature can also be re-activated during play. The Free Spins round features in typical IGT fashion, a different set of reels which are much more abundant in Wild symbols. Also, if the player manages to re-trigger the feature during the Bonus itself the payout can be impressively increased. Siberian Storm is a really popular game among the UK gaming community which was ranked number-one on land-based casinos post its release! It combines the probability of higher wins with the necessary risk of a higher bid and pushes the element of innovation and challenge into the winning of formula. Though the game does not have a Jackpot option, it more than makes up for it in the plethora of Bonus options available. So one can play free Siberian Storm Slot casino slot machine on various casinos online and win some real money in this no-nonsense, no download game. The game is designed for high-stakes players, offering big cash rewards on big deposits. However, it can be enjoyed at lower denominations as well. The Multi-Way Xtra feature adds a novel angle to the game, making it more challenging and exciting than most of the slots available online. The all-white icy theme complements the nature of the game beautifully, enhancing the overall appeal and adding to the adrenaline rush of the Siberian adventure while the majestic Beast of prey that forms the center of attention holds ones attention and multiplies ones winning chances! 0 responses to "Siberian Storm Slot"